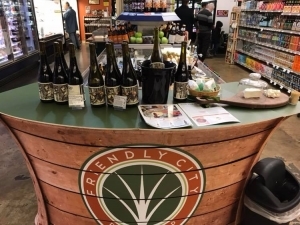 Join us for a tasting from our extensive selection of wine, cider and beer. Every Thursday from 3pm-6pm, we’ll feature something different – often from a local producer. FREE – ages 21 and over. 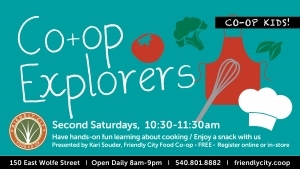 Join us on the second Saturday of each month, February- October, for Co-op Kids Cooking! We’ll explore a different aspect each week and make a meal at the end of the session in October. 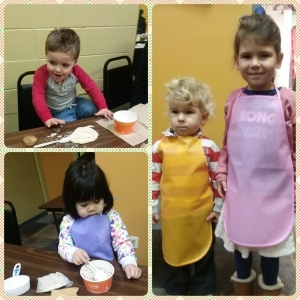 Each session we’ll prepare a kid friendly recipe followed by a related activity or game. The focus will be on developing safe and smart kitchen techniques. Every kid will receive a laminated recipe, instructions or materials for the associated activity, as well as an apron badge showing what they learned that day. Aprons will be given out to each child at the first session they attend and your child will earn a badge for every class they attend. NEXT SESSION: The next session is on Saturday, May 11 at 10:30am or at 2:00pm – you can attend either class. We’ll be learning about food groups and the kids will prepare mini-pizzas! Please register here so we know you are coming and be sure to sign up for the time you prefer! Ages 2 and up. This is a FREE event for our community. February 9, 2019 Basic cooking skills – Measuring and following a recipe. For paid classes, checkout will be completed through PayPal. 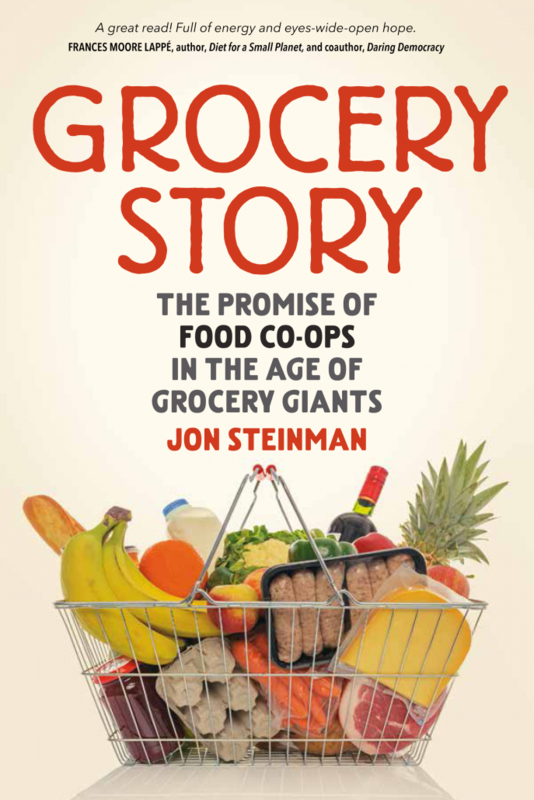 Co-Op Owners will receive a $5 discount towards any of the prices listed below.